Assessment plays a major role in how students learn, their motivation to learn, and how teachers teach. • Assessment as learning: where students develop an awareness of how they learn and use that awareness to adjust and advance their learning, taking an increased responsibility for their learning. • Assessment of learning: where assessment informs students, teachers and parents, as well as the broader educational community, of achievement at a certain point in time in order to celebrate success, plan interventions and support continued progress. The following concept map illustrates what successful assessment should look like in a classroom. 1. Having a thorough knowledge of the Program of Studies, with a primary focus on learning outcomes. 2. Ensuring the learning outcomes were known to students. 3. Using rubrics, exemplars and criteria for assessment. 4. Using I CAN statements extensively. 5. Providing continuous, informal feedback. 6. Developing questioning skills for teachers and for students. 8. Encouraging more student self-assessment. * Always plan your units using the “backwards by design” method. Start with the Program of Studies as your base. Then create your assessments. And lastly, plan your lessons. This ensures that the students attain the knowledge they are intended to gain, and weeds out a lot of the fluff. * Share the workload amongst same-grade teachers in the planning of and creating of assessments. * Set out to test what is in the Program of Studies in a strait cut manner. Assessments should have the same (or a very similar) format as the learning activities used in teaching the material so that it is not confusing to lower level students. * Present specific learning goals (in student comprehensive terms) at the beginning of class so that students will be conscious of the intended focal point. This may be done in the form of “I can” or “I will” statements. * Take time to review important lesson material learned in the morning in the afternoon. Review is great for all students, and is especially beneficial to any type of learning disabled child. * Status checks: Thumbs up/ thumbs down/ so-so sign, Red light/ green light (students hold up cards to indicate their understanding), etc. * Quartet quiz: The teacher poses a question to which the students write responses. The students then meet in quad groups and compare their answers. A reporter for the group summarizes their discussion ("We know/ wonder"). * Jigsaw check: The teacher assigns students to groups of 5 or 6, giving each student a question card with a question regarding their understanding of certain lesson concepts. The students read their question to their group and a scoreboard keeper records the number of students who are really sure, pretty sure, foggy or in the dark about the questions. The students then scramble to make groups with those who had the same question they did and collectively prepare a solid answer. Thereafter they go back to their home group and educate their peers on their findings. Re-assess via a scoreboard. * Web of understanding: Teacher tosses a ball of yarn to a student, who asks a question. He/ she then tosses the ball to another student who responds to the question or asks an additional one. The ball is tossed back and forth with students adding to the discussion. All must have an opportunity to participate. 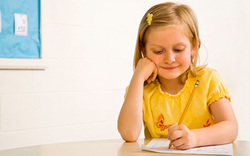 * Picture this: Teacher asks various comprehension questions. Students work in pairs or quads to draw a pictorial explanation, label the picture, write an explanation and give a verbal report.